TOMEK and other ...THINGS!!! : TOM GAULD rules! The stuff I ordered from Tom Gauld just arrived! I'm Tom's big fan, so when I opened the packages my brain stopped working for awhile. 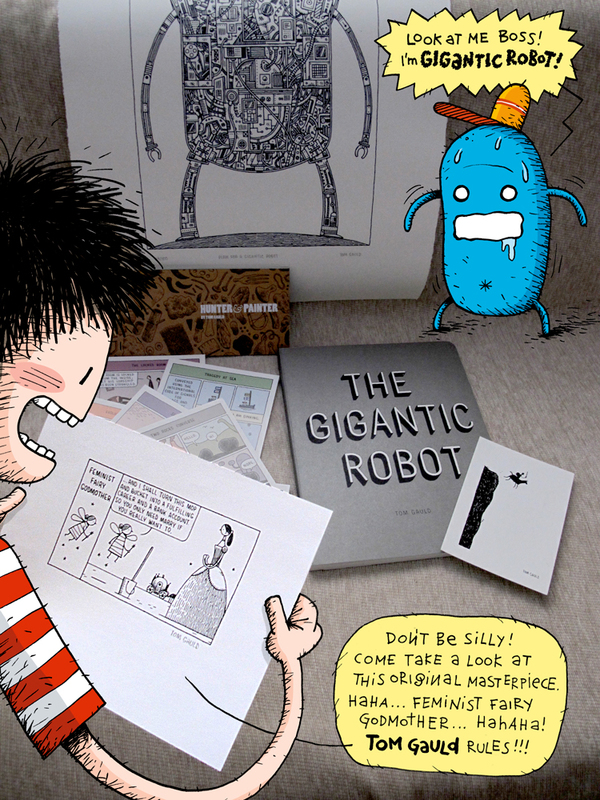 Original artworks, silkscreen, postcards and comic books, all of them signed by Tom are simply amazing. Be sure to check his work on his website www.tomgauld.com and his Flickr. His cartoons for the Guardian are one of the most incredible and meaningful (or not... hahaha) drawings I ever saw. EEE...! Πρόσεχε μη σου πέσουν στο blog μου! Πάντως ο Tom Gauld είναι απίστευτος. ela re oraio paketo :P megies! apo ton Tom exo mono 2 paketa mini comics kai 2 vivlia. prosopiko favorite einai to Gaurdians of the Kingdom.